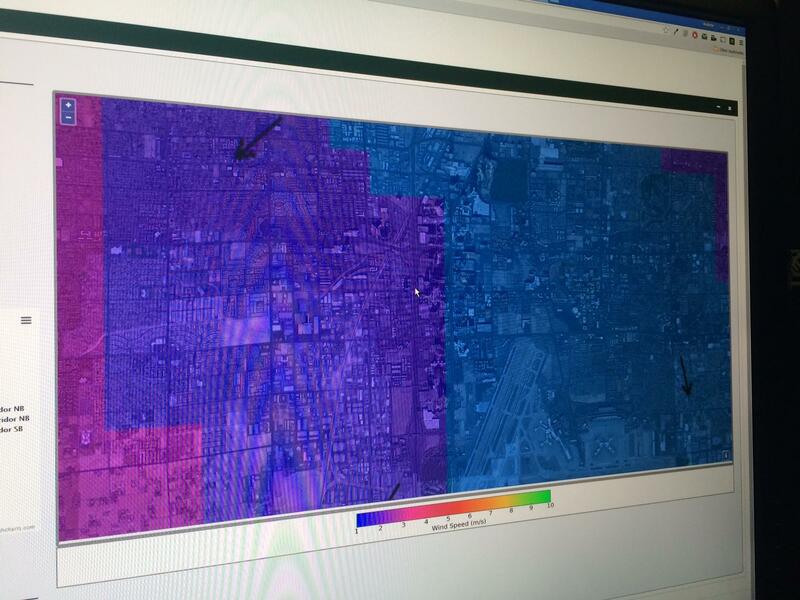 WINDS map of Las Vegas Blvd. 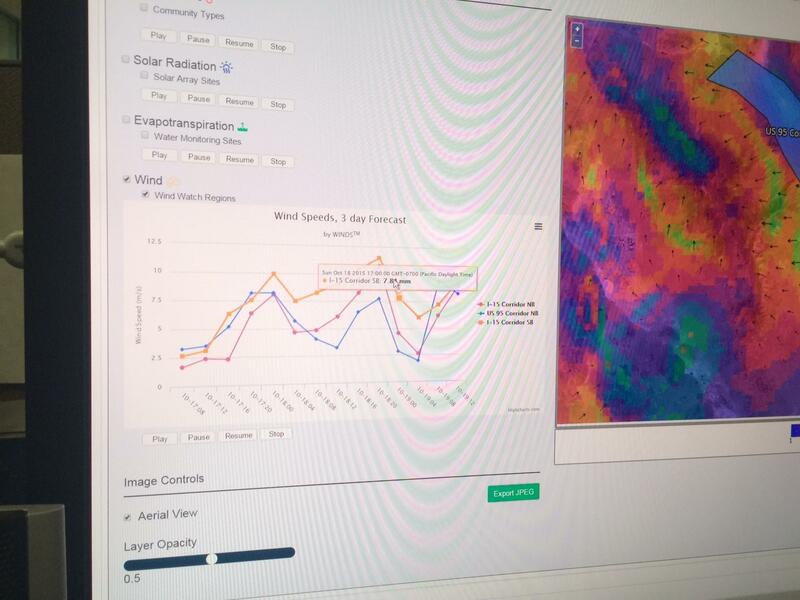 WINDS platform creates data tables showing specific climate related events. Including wind speed, temperature and solar radiation. 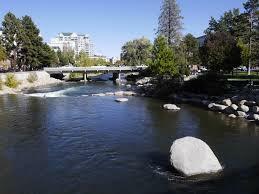 This is the City of Reno! 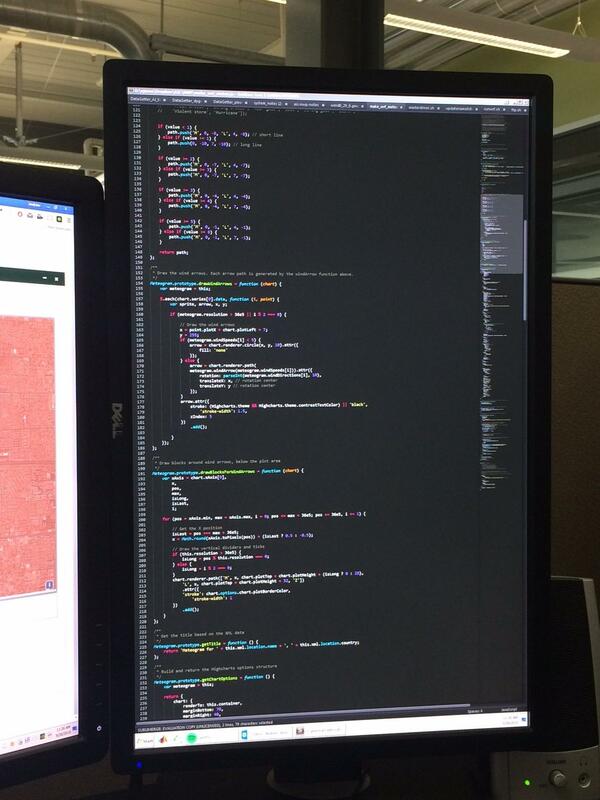 Well, a virtual view anyway. The city was virtually under construction during this demonstration. WINDS is designed to give exact climate readings to a distance of just a couple kilometers. Like the golf course seen here. A team of scientists and business leaders from the Desert Research Institute in Reno is trying to change the way businesses make decisions that may be impacted by extreme weather. Reno Public Radio’s Esther Ciammachilli has more. Joros right clicks on the MGM Grand and a series of data tables pop up, showing wind speed, temperature, solar radiation and evapotranspiration, which in simplest terms is the process of water movement into the air from plants. 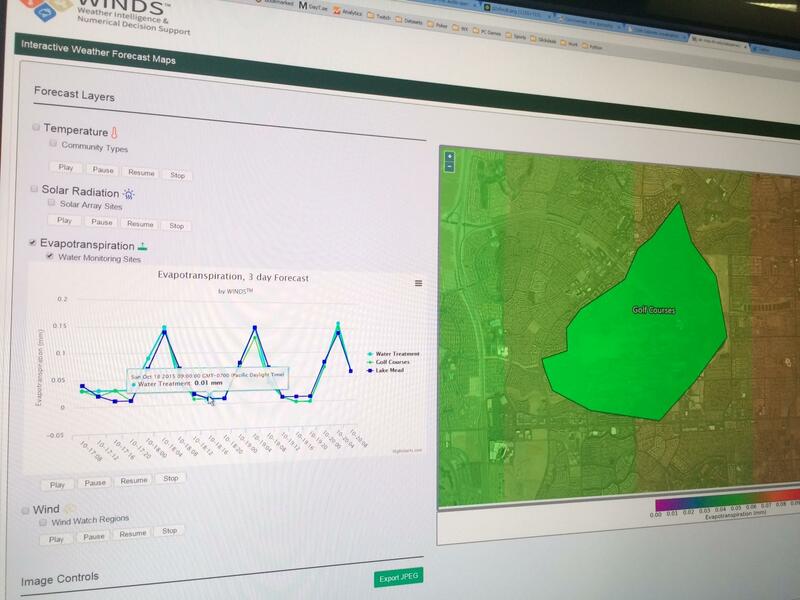 Using ground sensors along with data from weather balloons, WINDS is designed to give exact climate readings to a distance of just a couple kilometers. That’s Brian Spiecher, who helped lead the team of scientists that brought WINDS to life. It was funded by the Knowledge Fund awarded by the Governor’s Office of Economic Development. Spiecher says the point of the project is to pull weather to ground. Spiecher says WINDS examines how weather interacts with objects on the ground, and how this relationship affects businesses. For example, demands on a power grid change as the weather forecast changes. WINDS can help energy companies better predict these needs days in advance. And this information is highly sought after. In fact, the U.S. Commerce Department reports that weather data is the single most accessed government information by the public. A collective valuation of weather forecasts across U.S. households was estimated at just over $31 billion dollars. Currently, the sum of private and public sectors investments on weather forecasting totals just $5.1 billion. Grzymski adds that the program has the potential to be a tool for workforce development in Nevada by using WINDS as an educational platform. Some of the areas for development include agriculture, business, economics, investments and computer software development. A host of worried farmers testified at a panel gauging the effect of drought in Nevada at a state hearing in Sparks Wednesday. Reno Public Radio's Julia Ritchey reports. Representatives from the cattle, wool and farming industries spoke at the Nevada Drought Forum, arguing against any further cutbacks in water allocation. The farmers said the drought and subsequent water restrictions had slashed their incomes, increased operating costs and made it hard to plan for the future. UNR and DRI researchers in Northern Nevada are launching a broad effort to better predict and prepare for severe drought and climate change. While many places are feeling the impacts of climate change, Western Nevada and the Sierra make a good case study. For one, the trends in temperature change here track almost exactly with the global ones. Along with that, Maureen McCarthy, a UNR researcher, says our desert environment, fed by snowfall in the mountains, is one of the most vulnerable to climate change.